I wanted desperately to give up canned beans because I have nearly eradicated all store bought canned goods from my life. This sprouted from the fact that there is said to be BPA in the lining of the cans... and I just think glass is safer then cans, and so on and so fourth. Anyway, back to the beans. Giving up cans once and for all meant that I had to conquer something that has been giving me a ton a trouble in my adult life: dried beans. Those little suckers had it out for me, so I was coming for them. Dried beans everywhere were shaking in their beany boots because they could hear my battle cry! But here's the thing... every time I have tried to use dried beans the little suckers just won't get soft. It drives me totally nuts. No matter if I soaked the beans for hours overnight or boiled them for days, they would not get soft. Turned out that was because I have hard water. I came across this website, and it changed everything. If you have hard water, adding baking soda won't really do you much good. Instead, you should use filtered drinking water and save yourself the hassle. 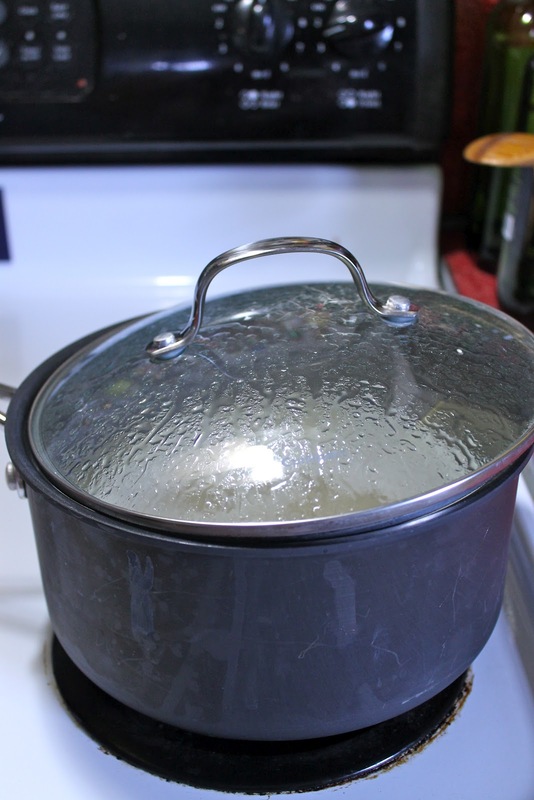 Also, I used the boiling method instead of the overnight soak, and I found it to be immensely helpful. What do you know, it worked!!! I was overjoyed. Click THIS LINK to view the bean-ography that helped me so much! Okay, beans, work with me here. Let's do this together. I have sorted and rinsed my beans. At first when I added the water, the beans did this wrinkly bean thing. That freaked me out! But I kept on trucking and the beans, by some miracle, self-corrected. OH MY GOD! It's looking good. These are the beans, after 4 hours of soaking, and they are ready to be cooked. The method is that you basically bring the beans to a boil, set them aside (covered) and let them soak. I let mine soak for four hours. 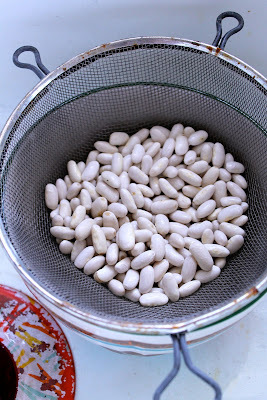 Then I discarded the soaking water, refilled it with filtered water to cover the beans, and then boiled them until they were soft, which was two hours. Boil them with the lid tilted, it says, which I did! Though some did crack, they were all very soft and "beany!" Finally, I have cracked the bean version of the Da Vinci code.